LAHORE: Despite the rise of Pakistan cricket under former Pakistan Cricket Board (PCB) Chairman Najam Sethi, his exit was always a foregone conclusion once the Pakistan Tehreek-e-Insaf (PTI) government came to power. The differences between him and Prime Minister (PM) Imran Khan were such that there was always going to be one way the matter was going to be settled. This is despite the fact that Imran Khan had vowed in his victory address after the elections that there would be no political victimisation under him. Even so, more than a matter of following through with a political vow, PM Khan has missed a trick by replacing Sethi as the PCB chairman right away. Given that his political career pretty much owes its existence to his cricket career, how Pakistan cricket performs under Imran Khan was always going to be scrutinised. 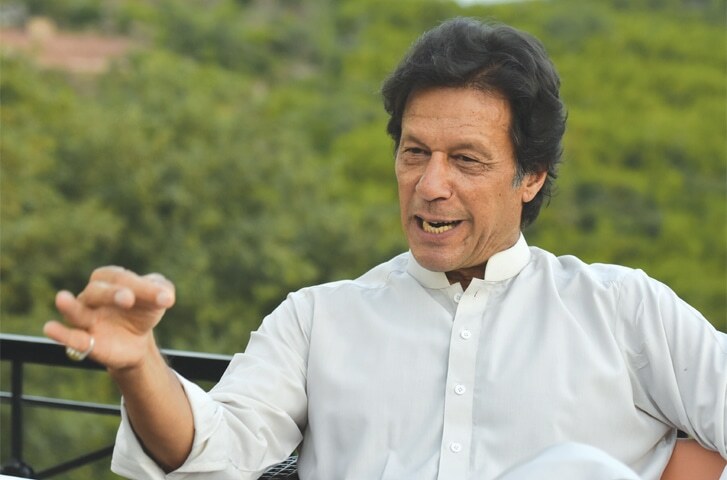 However, given that he should – and does – have his plate full at so many other places, cricket could, of course, have taken a backseat as PM Khan addresses the grave concerns in the country. The most convenient way of doing so would’ve been to let things stay as they were at PCB. This would’ve given him the brownie points for not being petty and following through with his words on no political victimisation, and would’ve also given him the breathing space should things go pear-shaped for Pakistan cricket. For, had anything gone wrong, he could’ve just as easily pinned it on the regime that he had never installed and then swooped in with his changes, and implemented whatever vision he has for Pakistan cricket going forward. What PM Khan seems to have completely ignored is the fact that under the previous regime Pakistan became the top-ranked Test side in the world for the first time in its history, still is the number one T20 side and won the ODI Champions Trophy last year. It also launched the Pakistan Super League (PSL), and brought international cricket back home. So, pretty much the only way the next regime can top the successes is if Pakistan wins the ODI World Cup next year, and Australia agrees to tour the country. When you’re at the top, the only change that can happen is downward. And so, the moment Pakistan drops from the number 1 rankings in the T20s, the knives will be out. Similarly, given how the 1992 World Cup echoed virtually as a political manifesto for the PTI, failure to make a strong show at the World Cup in England next year will be pinned on PM Khan by his critics. Of course, it would be unreasonable for PM Khan’s vision – the merits or demerits of it notwithstanding – to provide dividends both on and off the ground. But he has walked straight into it, in what can only be described as a combination of a desire to get rid of his detractors and perhaps the idealism that the newly installed regime seems to be exhibiting everywhere. Let’s hope for Pakistan cricket’s sake, that the new PCB regime continues with the good work that was being done, and identifies the problem areas empirically, before going around trying to fix it. For, what ain’t broke – which quite evidently many parts of Pakistan cricket aren’t as things stand – need not be fixed.